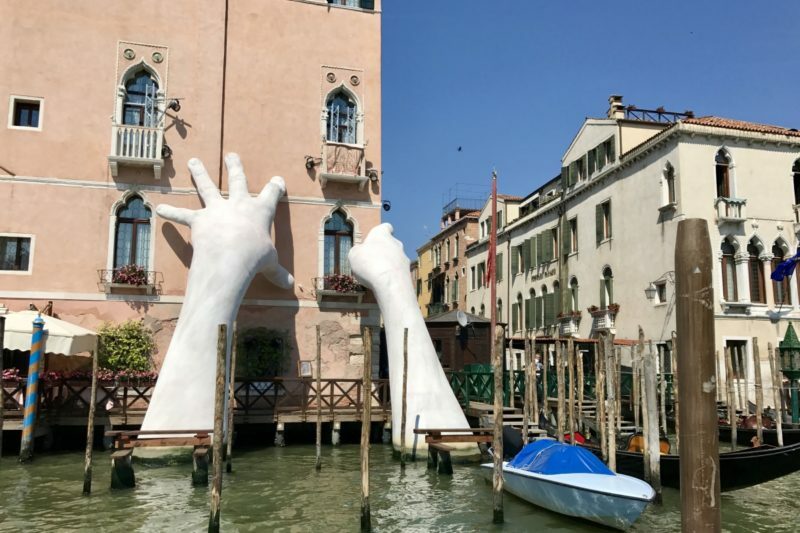 Our visit to Venice was a little muddled. 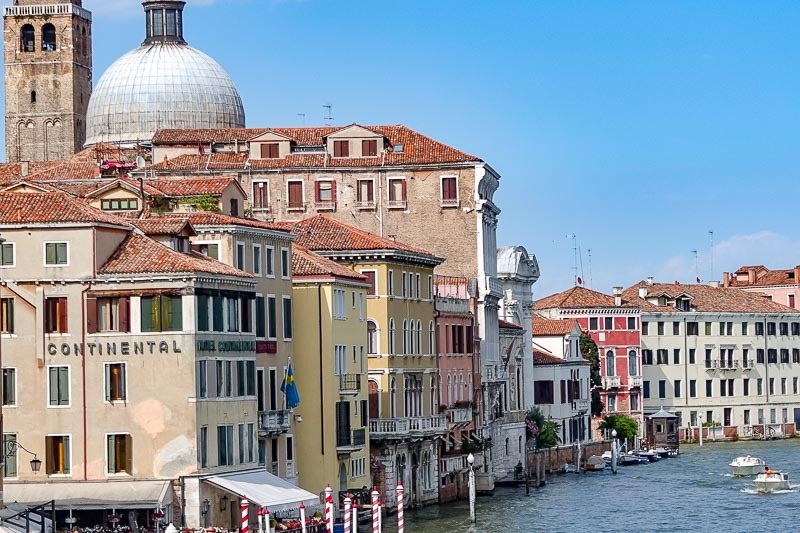 Some advice – if you want to stay in Venice in June, don’t try to book only a week or so out. Unless of course you are prepared to pay $500 per night! We were not. With a lot of searching, and the pain of swapping accomodation, we are staying in three different places during our visit. Our first place was in nearby Padua, and our arrival was stressful, but in the end uneventful, thanks to the train strike. Because we knew about it, I was able to ensure we got on one of the skeleton regional services to Milan they were running between 6-9am. This meant an early morning. By 6am we were parked on the platform waiting for a train – any train really! At just before seven a train came along, so we jumped on. Luckily it was going all the way into Milano Centrale, which was exactly where we needed to get to on the first leg of our trip. In Milan we bought tickets to Padua on one of the Frecciarossa trains. 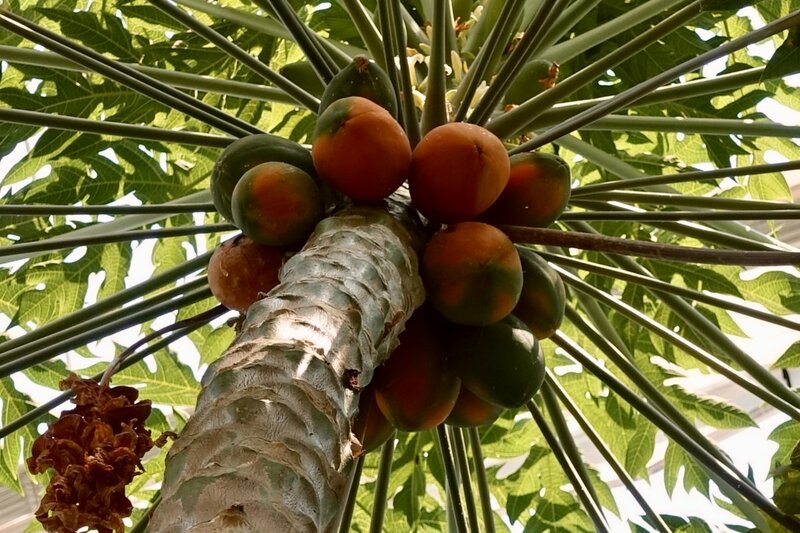 These are the high speed variety that zoom along at up to 300km/hr. They are comfy, quiet, and a great way to travel. The Frecciarossa weren’t on strike, so that was the only way to ensure we got to Padua. Until now, we have only used them when we could get bargain tickets, otherwise regional trains are much cheaper. They are slower, and not as nice, but they do the job. And we have a budget we need to stick to! 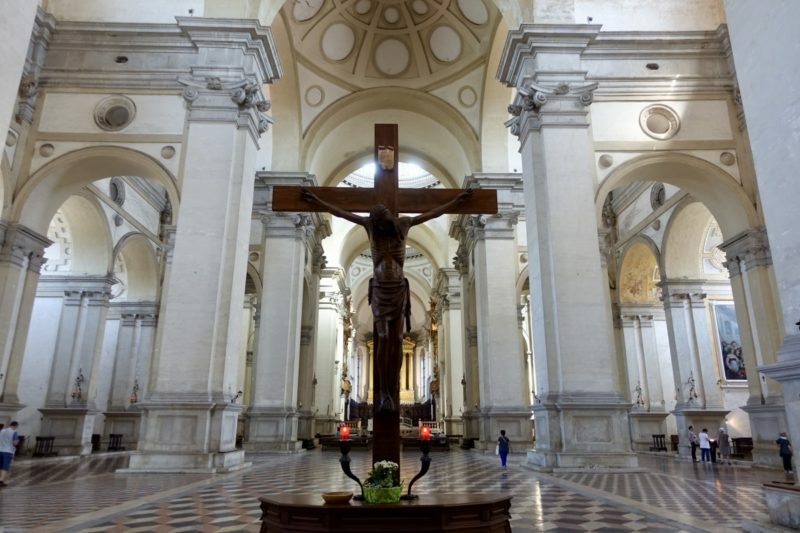 It cost us €50 more than we wanted to pay, but we got to Padua! The weather has been quite warm for this time of year, in the low thirties. Normally that’s not a huge problem, but the day we arrived in Padua was overcast, steamy and, well, gross! The humidity just kills me. We got to our lovely apartment, and just collapsed onto the lounge. Unfortunately there was no air-conditioning, but a fan was nearly as good. In between laying on the lounge, we did boring stuff, like head to the laundromat and do some washing (if you read my last post here, you will know this is a big deal), and then to the supermarket for food. I also spent some time planning what we were going to do in Venice. 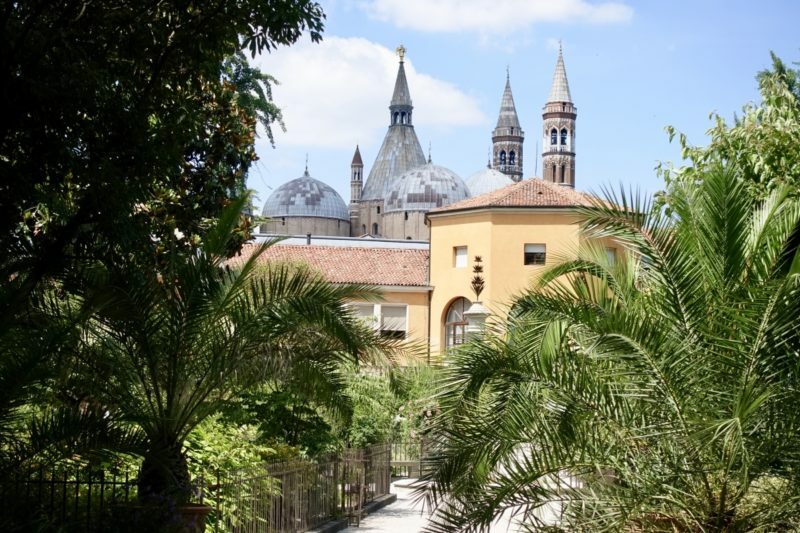 Once we knew we were on the train to Padua, I booked this Urban Adventures food & walking tour for the next day, to give us a brief look and help us get our bearings. Tired after the oppressive heat during the night (the inside temp of our apartment did not drop below 30 degrees) we jumped on a train by 8am to head into Venice. It’s only about half an hour on the train (even quicker if you get on a Frecciarossa) and we were walking straight towards the Grand Canal. Now I have to say Venice was not on my “must see” list for Italy. If we had decided to bypass it and go to one of the many other places to see, I would not have been disappointed. But wow! I think it helped that we arrived early-ish and the crowds had not yet built up (they did that late morning/early afternoon). It probably also helped that we got ourselves hopelessly lost in the back alleyways, so we weren’t battling with what crowds there were. We had a couple of hours to spare before our tour. 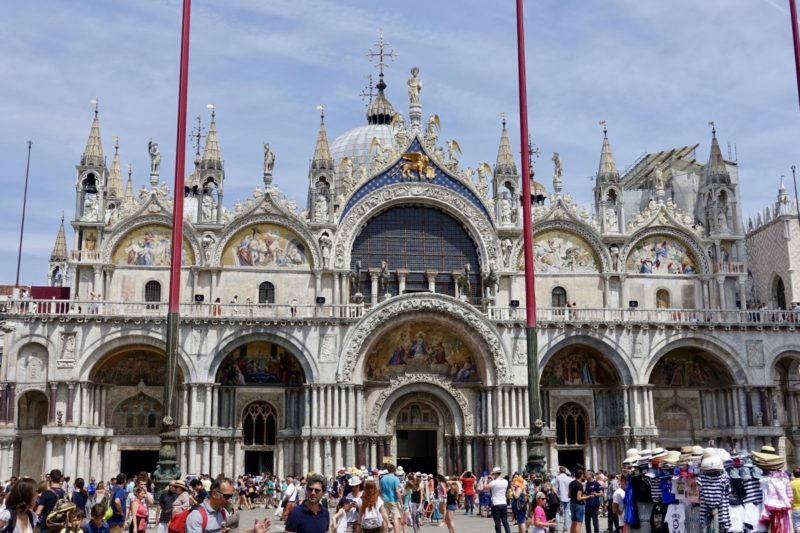 The plan was to get to St Marks Basilica before it opened at 9:45am and have a look around, hoping the crowds wouldn’t be too bad. After getting a little lost, finding some lovely little streets and canals, and finding our way back on track again, we didn’t get to St Marks until about 10 – and by then the lineup was too long for us to wait and still make our food tour. Instead we had a quick look around the square, took a few photos, and started heading in the general direction of the tour starting point. St Marks Cathedral – with the requisite crowds in the square. It got much more crowded than this at times. During our walk I remembered a bookstore I had heard about. I quickly googled and we found it wasn’t far away, so with time to spare we took a detour to check it out. 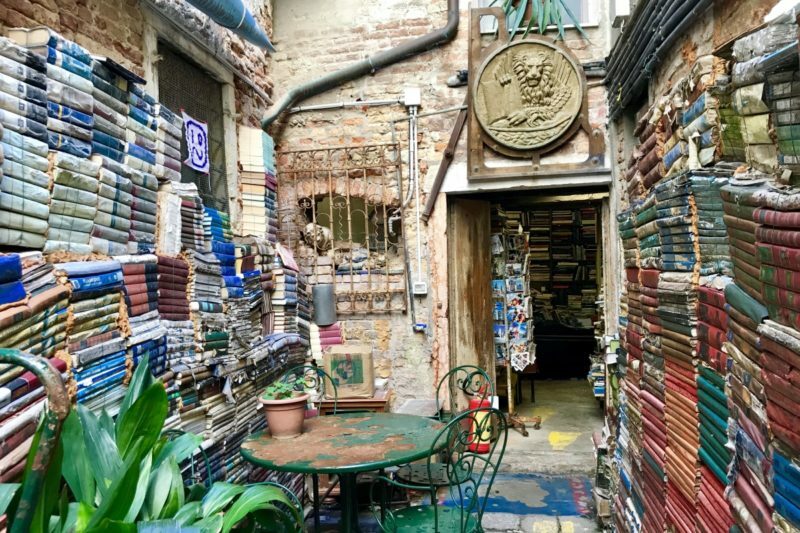 It has a sign out the front proclaiming to be “the most beautiful bookshop in the world”, and I don’t think they are far wrong! And the good part was I didn’t see any books in English, so no temptation to buy. I still have three books in my backpack, so have to read them first. 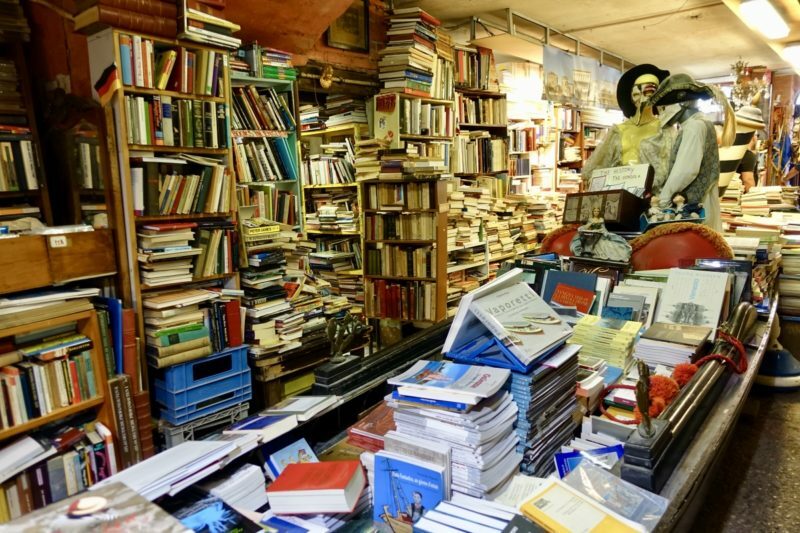 If you are in Venice, look out for Libreria Aqua Alta, it is well worth the visit! A gondola full of books! The food tour we did was the Cicchetti & Wine Tour by Urban Adventures. It started with some Venetian information during a walk of about 30 minutes through some of the less touristy streets of Venice. 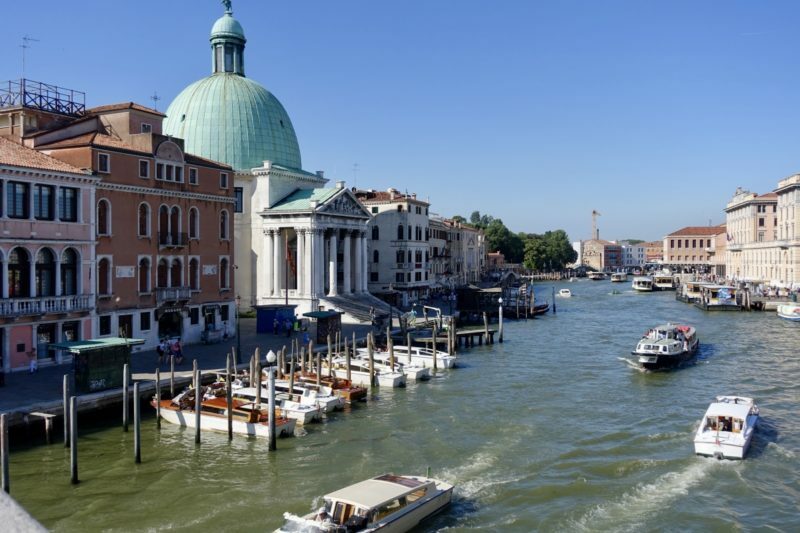 It includes a ride across the Grand Canal in a traghetto gondola, and a quick look through the local fish markets. Then the main part of the tour starts, the food and wine! Whenever I have been on a tour like this before there are promises of food and wine and it ends up being two mouthfuls of food and half a glass of wine! Not this tour! 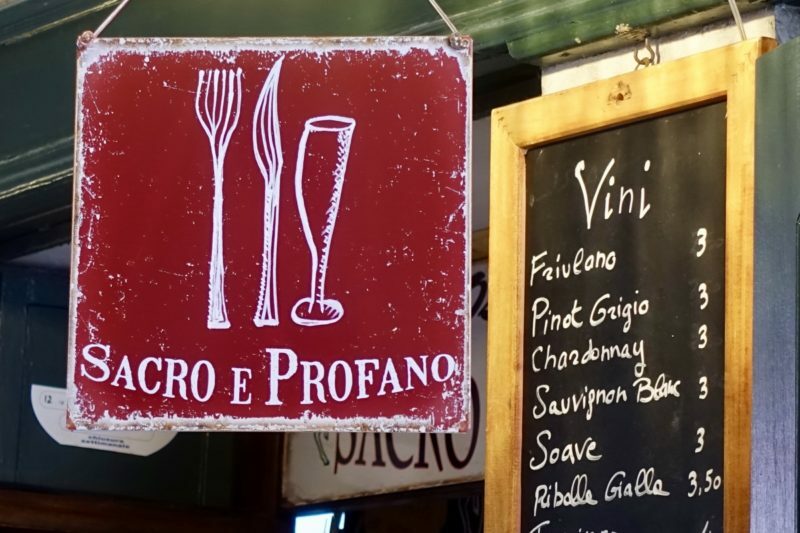 We went to five different bacari, traditional Venetian bars that offer wine and cicchetti. 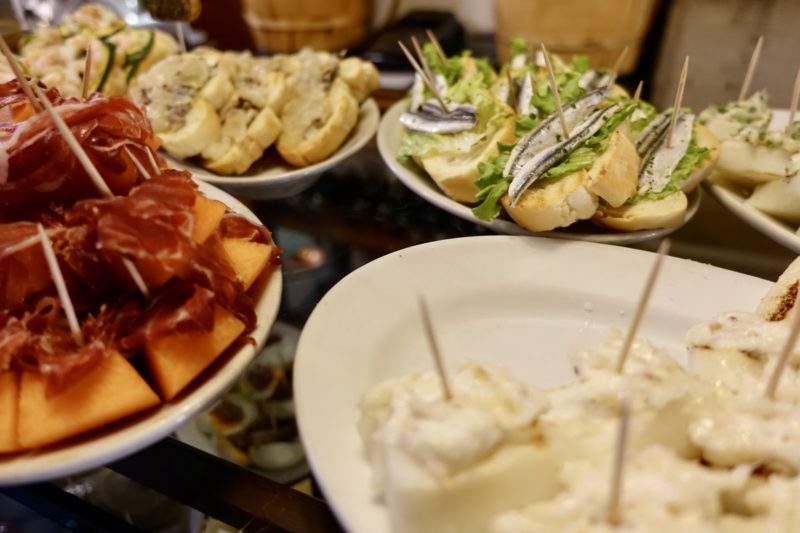 Cicchetti are basically tapas, but don’t call them that here in Venice, the locals will not like it at all. It is common in Venice to spend the evening with friends moving from bacari to bacari, buying a glass of wine and cicchetti at each one. At the first four we got a full glass of wine and one or two cicchetti. At the fifth stop, we got two glasses of wine, the second a dessert wine with a sweet cicchetti. One of the stops on our tour. Look out for it. By the end of this tour we had six glasses of wine and numerous different foods. I was well and truely ready for a nap after all that! In terms of value for money this was one of the best tours I have ever been on. There were nine of us on the tour, and we had a great time chatting while eating and drinking. Our guide Giovanna was also happy to join in the discussion, and gave us many everyday insights into Venetian life. With no bed nearby, we continued to explore the backstreets of Venice, albeit with a slight stagger. We enjoyed watching the gondoliers paddle their cargo of romantic couples, family groups, or girls weekend crew! We did end up back in front of St Marks and the line was short so we joined on to the end. St Marks is a lovely church. Not one of the best that we have seen, and not one of the most memorable either. Photos were not allowed inside, so you will have to visit for yourself to see it. 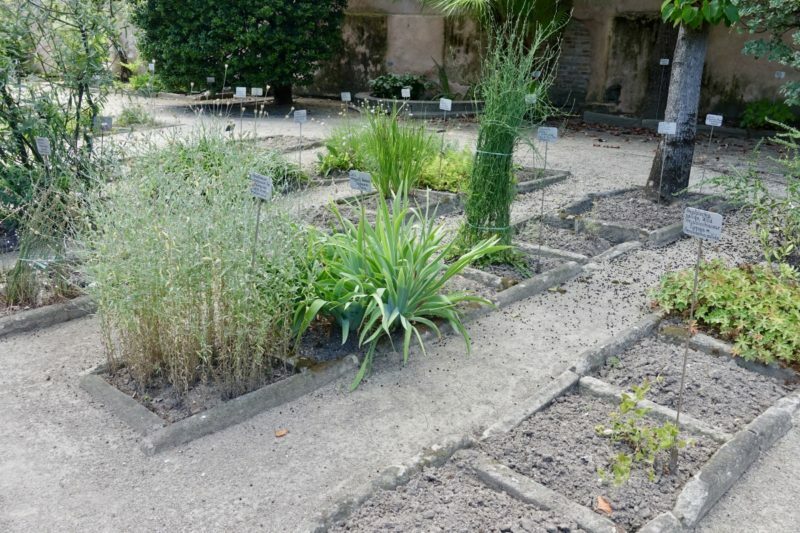 What we did like, were the cloisters that you are able to visit after the main part of the church. It was easy to imagine religious folk promenading around these colonnaded squares. Now they lead to the museum – which we did not visit – and the confessional area. Since we were staying in Padua we thought we should spend the next day looking around there. 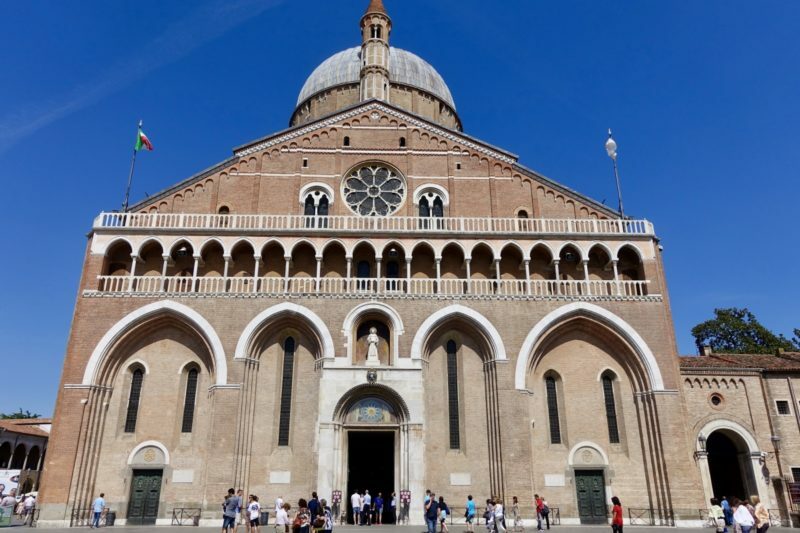 Most people have heard of Padua because of St Anthony of Padua. There is a basilica here dedicated to St Anthony. In fact it’s a really important church to Catholics, one of one eight international shrines recognised by the Holy See. It is the burial place for St Anthony, and holds relics and his tomb. As such, it is a popular pilgrimage place, with about five million visitors every year. Again photos were not allowed, but I did get one of a side chapel before I was told “no photos!” I thought the sign said “no flash”. Whoops. The church is one of the best we have been to. It was easily the one with the most worshippers inside, rather than a whole pile of tourists. We were there on a Sunday and a service commenced not long after our arrival. It was of course in Italian so we couldn’t understand, but the acoustics were amazing so we had to stop and watch for a few minutes. 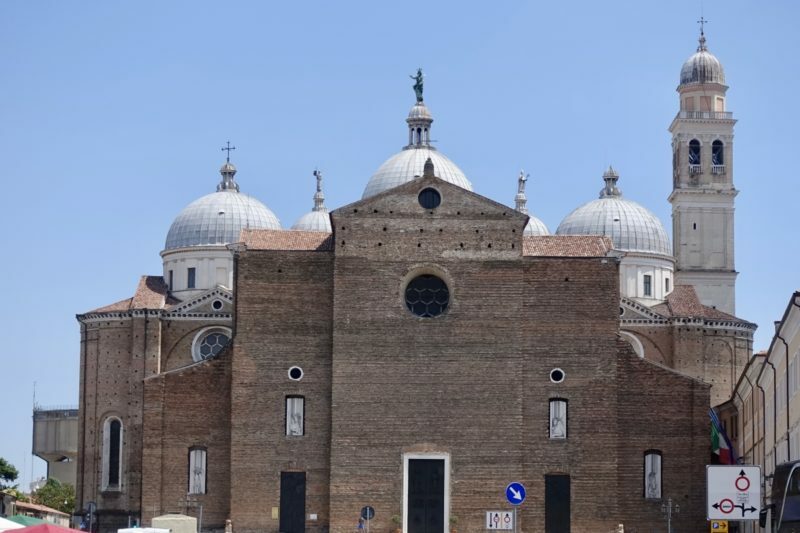 While St Anthony’s is the most popular church in Padua, it is definitely not the only spectacular church in the city. We also visited the Abbazia di Santa Giustina. While this one looks impressive from the outside with all it’s domes (hard to see from the below photo though), it is a lot more open and light on the inside than many other churches. It is still huge, but seems very empty as it has no seats through the main part of the church. It’s a bit late in our trip – I can’t believe it took us so long – but we finally tried canoli for the first time since we have been here. 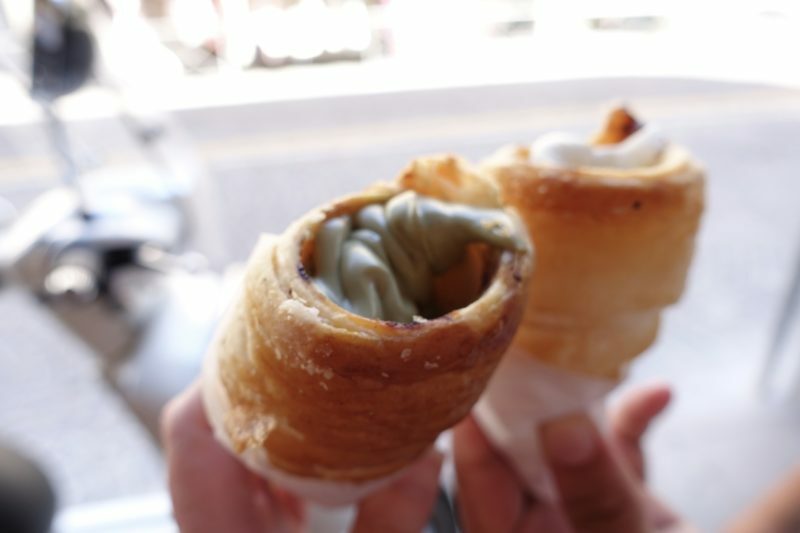 These yummy pastries were filled with pistachio and white chocolate, but there were so many other flavours available. Between these and the gelato, I am definitely going to be eating salad for weeks! Our last stop was the Scrovegni Chapel. 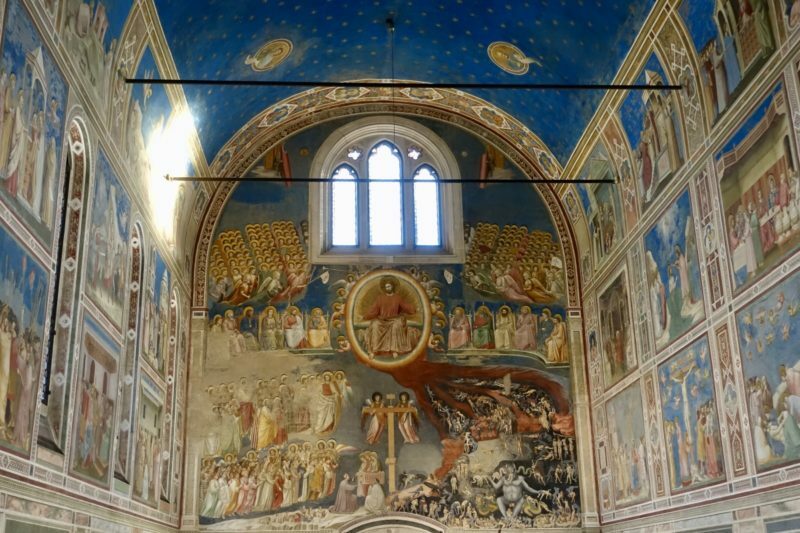 This chapel was built back in the 1300’s and it’s claim to fame are the amazing paintings done at the time by Giotto. When I looked at the website earlier in the day it proclaimed that bookings were compulsory and required to be done by the day before visiting. This is mainly because preservation of the chapel is currently a huge undertaking. There are only twenty-five people admitted at a time, and before entering the chapel itself there is a 15 minute wait time in a small room outside of the chapel (you are shown a film) while the air neutralises. So we arrived knowing we may not be able to visit, but I figured we could only ask! We had to wait about ninety minutes, but yes, there was room in a later session. We booked our tickets (€8 each), then decided we may as well visit the museum while we waited (€6 each). The museum was okay, but really we were wasting time until it was our turn to go into the chapel. We found there was not a lot written in English (not surprisingly) and we got tired of using our translator so pretty much just walked through looking at things. We eventually got to the chapel and wow! The paintings are really good. I know this will not be a popular statement, but I liked this little chapel much more than the Sistine Chapel! The photos don’t really do it justice. The next day was moving day again – boy they come around quick! 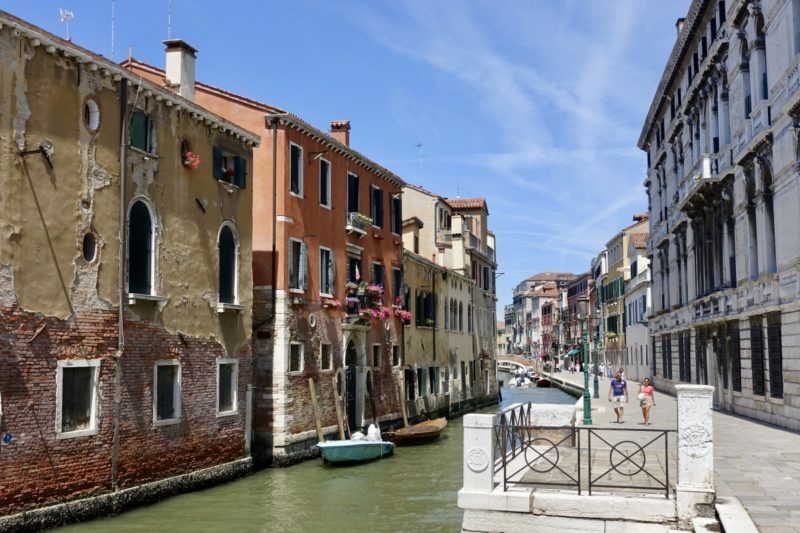 The only good thing was that we were only going a little further down the road, staying at the Hilton Garden Inn in Venice Mestre, basically the mainland part of Venice. If you are ever tossing up whether to stay on the island, or want to save a little money and stay nearby, this is a brilliant option! This is one of Hilton’s cheaper incarnations, and is perfectly located. The bus stop to Venice is about twenty metres from the front of the building. The bus takes only 10-15 minutes to get onto the island, and has a vaporetto stop right next to it to make getting around easy. 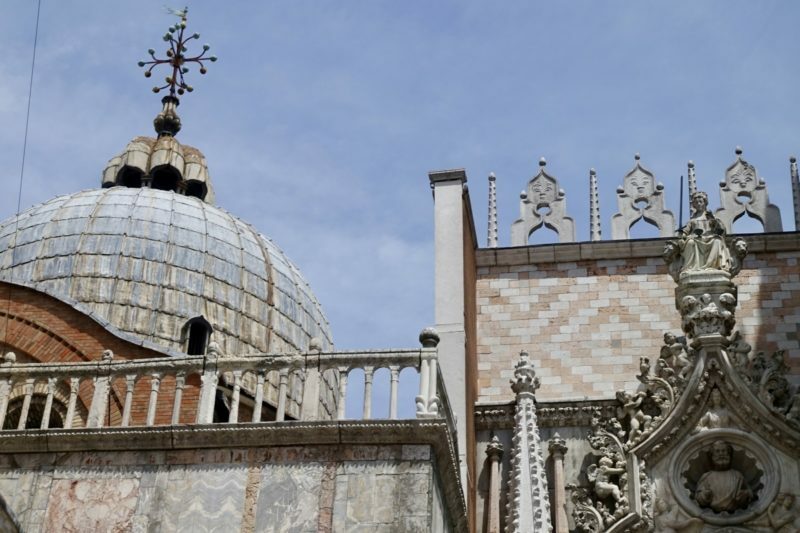 Fares are also included in the daily Venice transport passes, but if you are paying, it’s only €1.30 per trip if bought in advance. 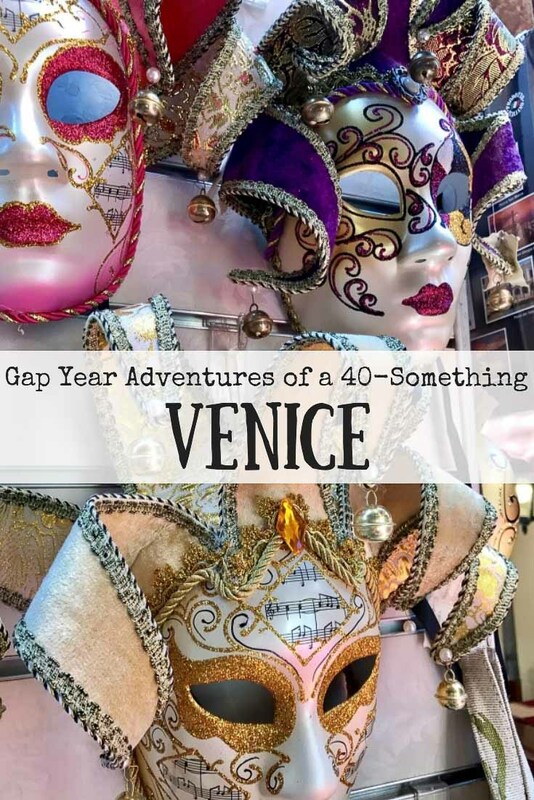 We arrived early in the morning, dropped off our bags and jumped on the bus into Venice. We thought about our plans for the next few days, and decided to buy a 2-day Venice transport pass for €30 each. If you are in Venice, seriously consider these, because while I originally thought that they were expensive, when I saw that just one vaporetto trip was €7.50, I quickly changed my mind! It is important to note that these are really 48 hour passes from the time you first validate, not two calendar days. With passes in hand we decided to cruise the canals. Except the first trip we took actually went from the top of the island to the bottom around the outside. It was so nice just to sit back and enjoy the scenery around us at a leisurely pace. 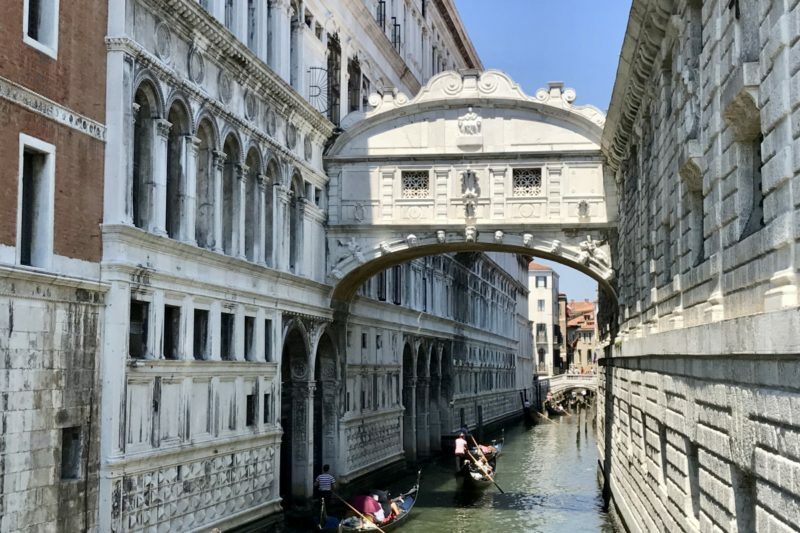 The one place we had missed when we were in Venice earlier was the Bridge of Sighs. That was our first destination. Along with hundreds of other tourists, we crammed onto a neighbouring bridge to get a quick photo of what is a nice, but nothing special, covered bridge. Next we wanted food. We went back to the area where we had eaten during our food tour, and came across a place filled with older Italian gentlemen who were enjoying the food and each others’ company. This looked like a good place to eat. We bought our drink and selected some cicchetti to enjoy. These were more traditional than what we have previously had, but were tasty and filling. We walked back down to the bottom of the island and jumped on a vaporetto back to the bus station at the top, this time travelling right through the middle of Venice on the Grand Canal. It took a surprisingly long time – around an hour – because it stops lots of times on both banks along the way. We were more than happy though, just sitting back and enjoying the ride. We got back to the Hilton with time to spend an hour or so by the pool, before ordering room service. I was feeling lazy, and it was easier than getting ready and eating at the restaurant. In the morning we were moving again, this time out to the island of Burano in the Venetian Lagoon. I had planned to come out here on a day trip, but when searching for accommodation found we could stay on the island quite cheaply. It was going to be a bit of a long transport day. We caught the bus into Venice, then jumped on a ferry right at the bus station. That would take us to the Island of Murano. We then changed ferries, for the last thirty minute leg out to Burano. After dropping our bags off, and having some lunch, we jumped on the ferry again back to Murano so we could have a look at this island. We did consider having a look on the way over, but we had all our luggage, and it wasn’t very appealing lugging that around with us. Besides, we needed to make to most of the transport passes! 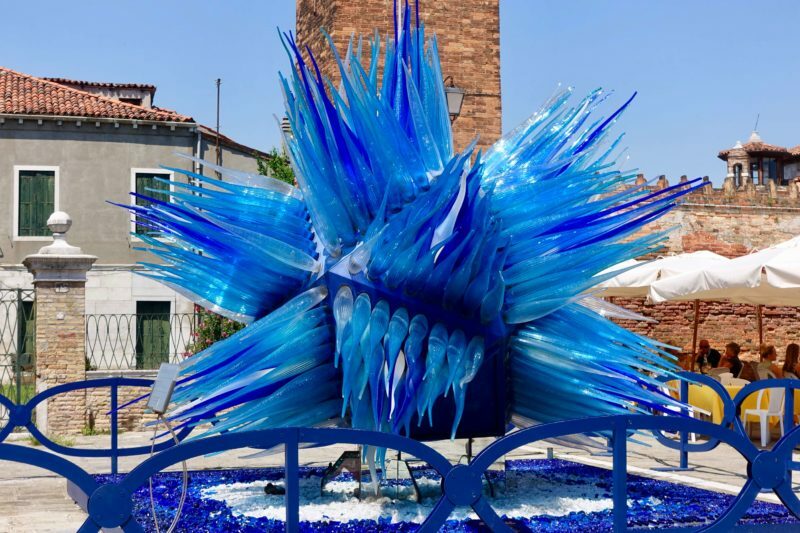 Murano is better known than Burano thanks to it’s glass making. 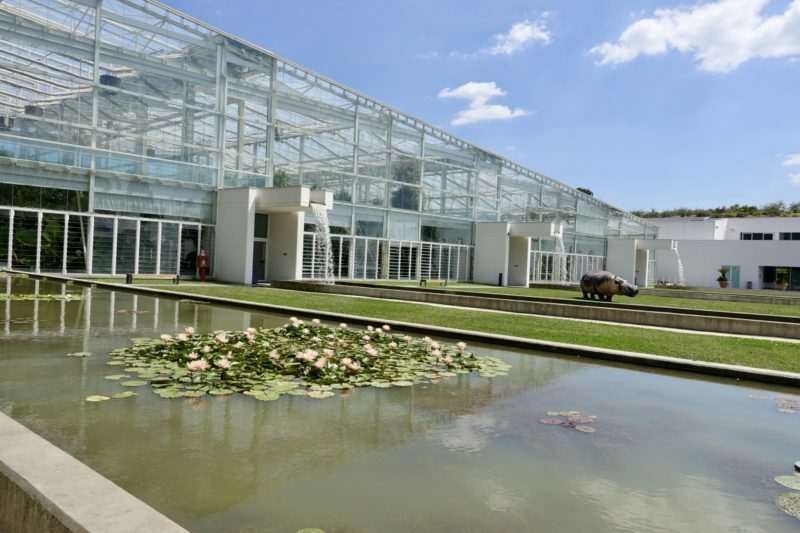 Murano glass is famous for it’s beauty and quality. 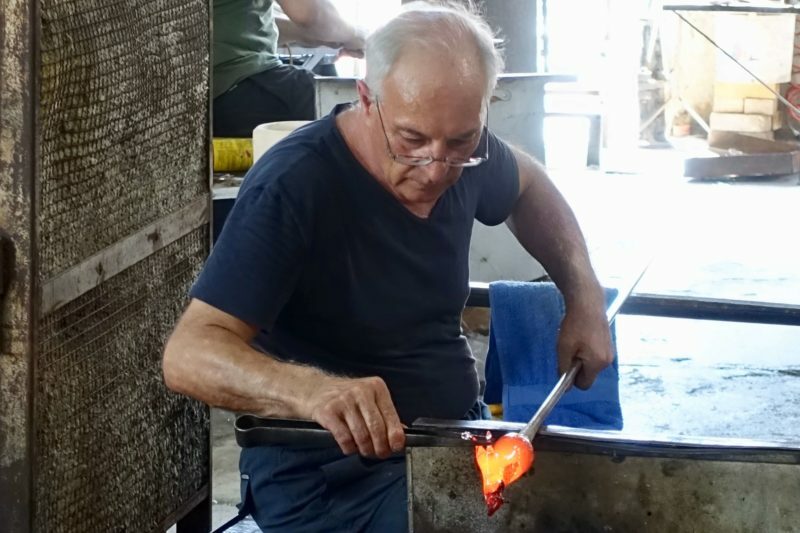 During our visit to the island we popped into one of the glass making places where we got to go into the factory for a demonstration of the two different glass making methods. Then of course we had to walk through the showroom maze to get out. I had heard some horror stories of salesmen doing the hard sell, but we weren’t pressured at all. It was a €10 charge to see the demonstration, then you got that in credit in the store. I picked out a pair of earrings for the exact amount, and nothing further was said. We did chat with the salesman about different things for about ten minutes, so we also didn’t feel like we were shoved out the door as soon as it was clear we were not going to spend any money. The glass making was interesting to see, but had a real “production line” feel to it, like the same thing is done over and over, multiple times a day, with exactly the same spiel. It was all over in about thirty minutes. The only part that didn’t feel manufactured was chatting with the salesman right at the end. The other people in our group didn’t talk to him at all, so if we hadn’t taken the chance to ask questions, there would have been nothing personal at all. I think I would feel a little disappointed if I had come out to Murano just for this! After about two hours, we went back to our little colourful paradise on Burano. There is not a whole lot to do on the island, but I could spend hours just wandering around taking photos of the colourful houses. Different times of the day have meant different parts of the town look spectacular, and my camera certainly got a workout. 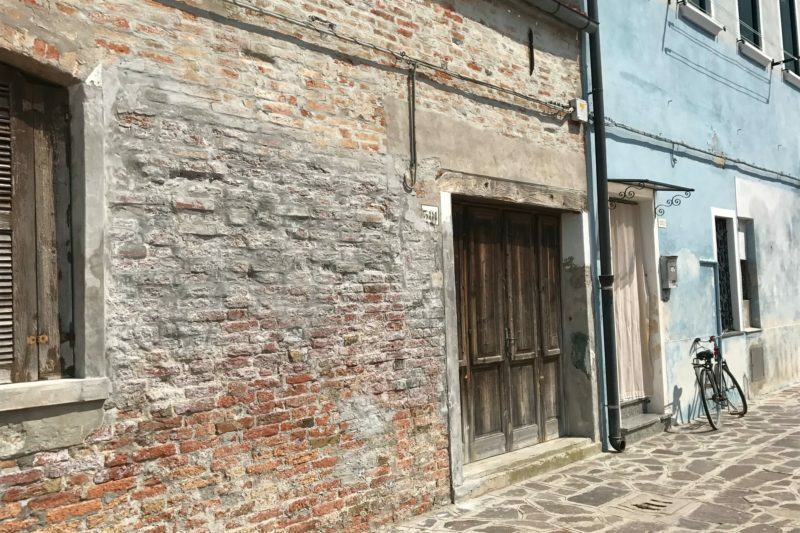 When we arrived on Burano, our host pointed out the old church on a neighbouring island and told us a little of the history. 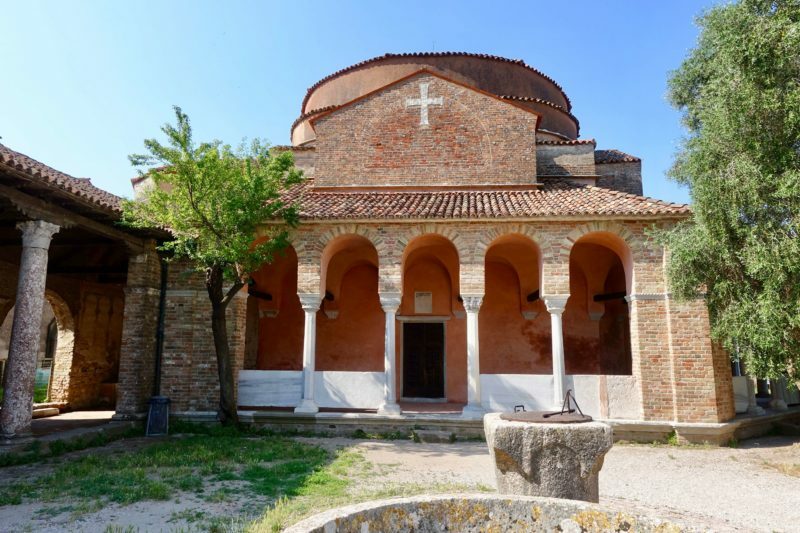 Torcello was the first island settled in the whole area, so before Venice even came about. Around a thousand years ago it had a population of about 20000, but now there are only ten people living on the island. We had a couple of hours free and our transport pass didn’t run out until lunch time, so we decided to go and have a look. It’s only five minutes on the ferry from Murano to Torcello. We caught the 9:30am ferry over, and walked straight to the Cathedral of Torcello. It’s a fairly decent walk, and I noted on the way that we must have beaten all the people on day tours from Venice because the souvenir stands were just starting to set up. Once we got to the Cathedral, we realised why – It doesn’t open until 10:30! That gave us about half an hour to waste, so we went back and grabbed a coffee. On the way I got Simon to take some photos of me on the Devil’s Bridge. 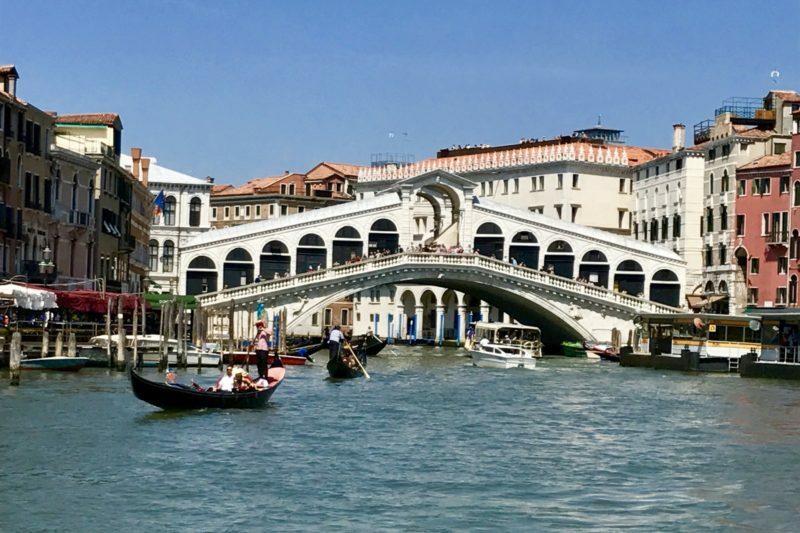 The name – Ponte del Diavolo in Italian – is probably after a local family of the same name. Local legend also has it that the Devil waits under the bridge for unaccompanied souls to pay back a debt left by a witch from years gone by. Entry to the Cathedral of Torcello is €5. If you also want to climb the bell tower, it’s €9. I would like to have done the climb, but we were by now pushed for time. 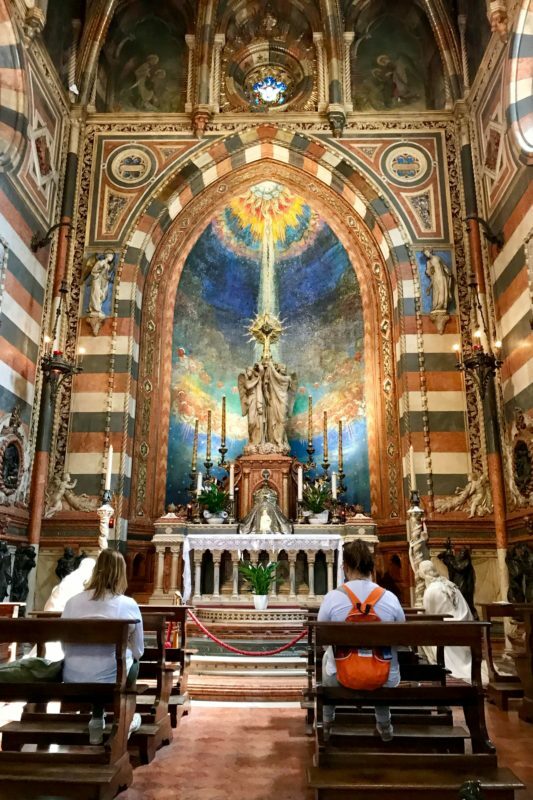 We were meeting someone back on Burano, so we just went inside the church. This one felt old! Fair enough too, since the current building was built in 1008, with earlier versions dating back to the 7th century. The floors are large colourful mosaic pattern, uneven and worn but captivating. The ceiling is timber. The best part are the mosaics on the walls. Above the alter is a Madonna and Child and the Twelve Apostles, and above the entry door is The Last Judgement. 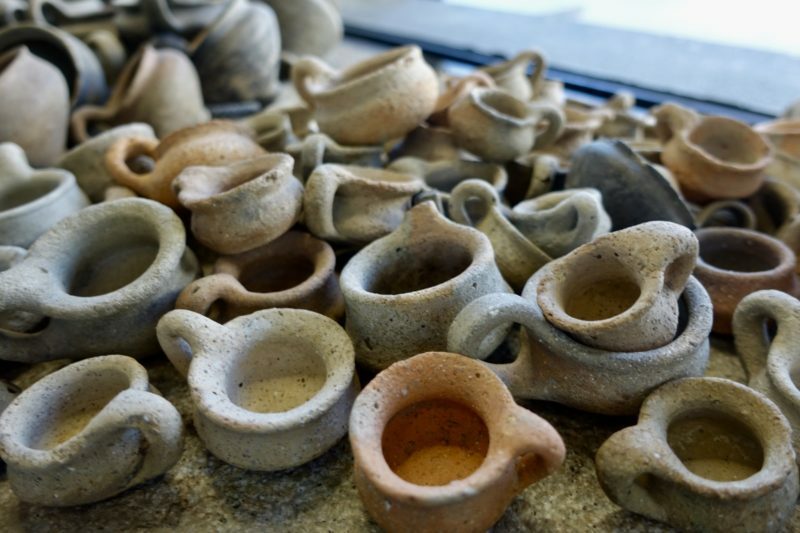 They are mostly gold, and in surprisingly good condition since they are getting towards a thousand years old. Unfortunately no photos were allowed, but if you Google you can see some. Travel is always interesting! A few days ago Simon had noticed on Facebook that one of his friends from high school was going to be in Venice at the same time. They hadn’t seen each other for twenty five years, but were able to arrange to meet up. 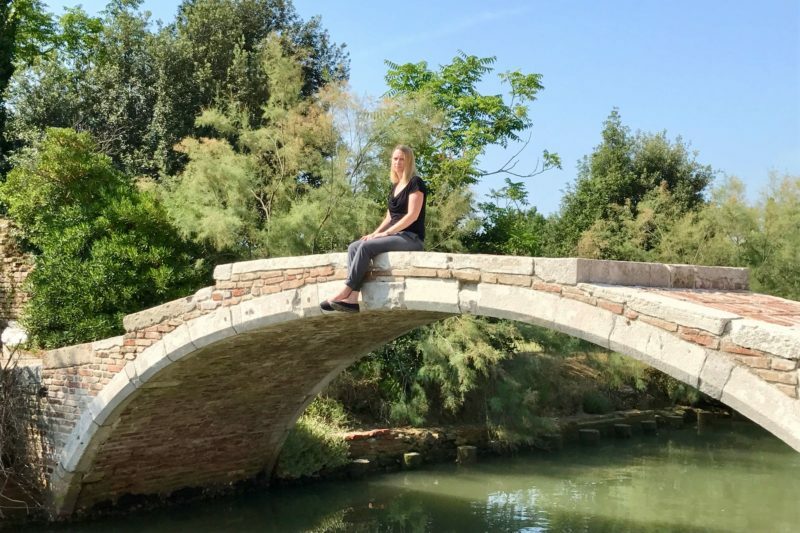 We live only about twenty minutes drive apart in Adelaide, but they didn’t get together until they were both half way around the world on a little island in the Venetian Lagoon. 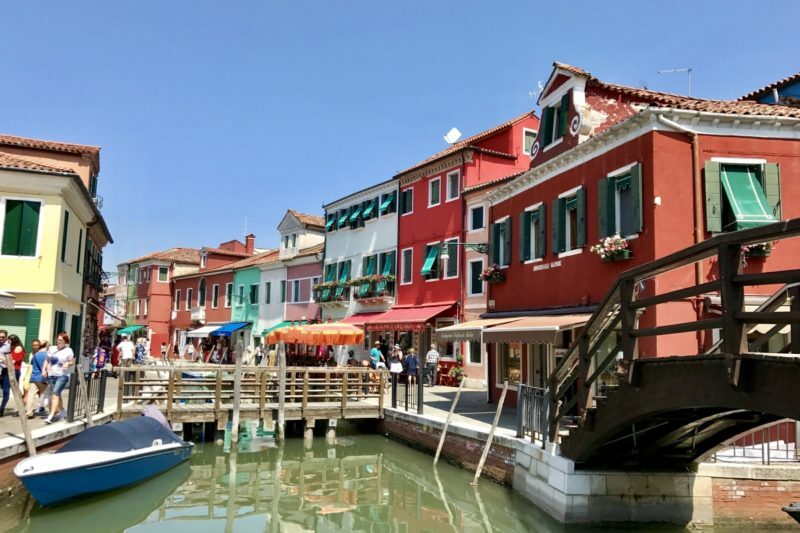 We enjoyed a great lunch, and wandered the streets of Burano again – it never gets old – before waving Troy off at the ferry. It was time for us to pack up too. We had one last relaxing evening enjoying Burano, and were heading north in the morning. Okay, I admit it, I did actually like Venice. I thought it was going to be too touristy and smelly. Smelly it wasn’t, but it was touristy. There were plenty of ways to get off the tourist paths though, and there were some great little backstreets that were much less crowded but took us to the same places. 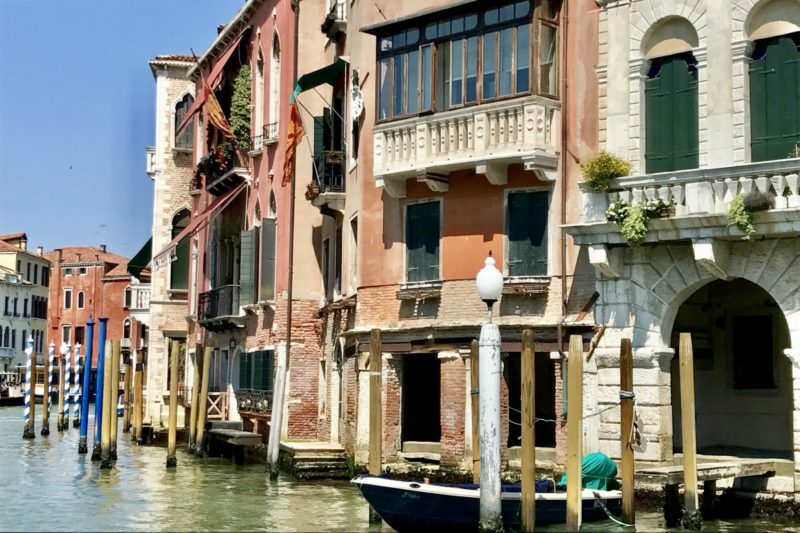 Padua, Murano and Burano are all worth visiting too. 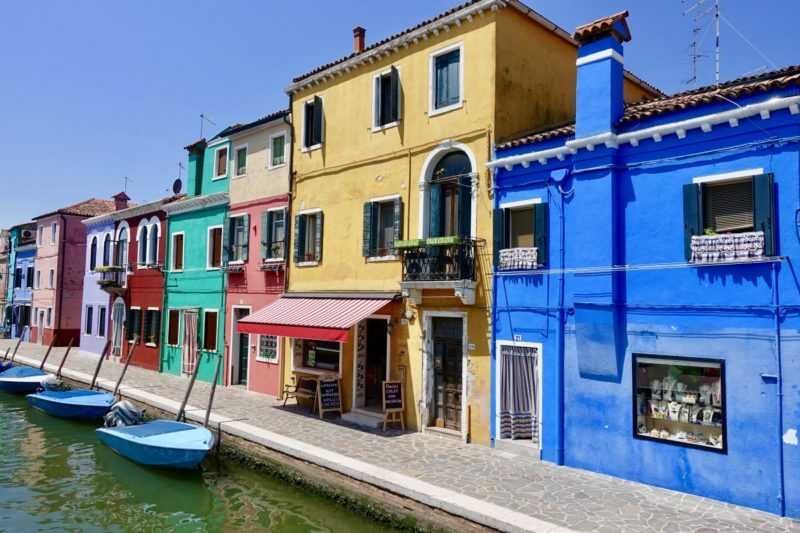 If you could choose only one, Burano would be my choice. I was completely in awe of the colourful houses the whole time we were there. Public transport was very good. At first it seems expensive, but if used properly and thoroughly, it is well worth purchasing the daily passes. If you choose to go for a ride with one of the Gondoliers, expect to pay about €80 for 45 minutes. That could be okay for a group of six, or a special occasion, but we couldn’t fit it into the budget for our backpacking trip. We do not feel like we missed out. Wifi seemed to be plentiful with a good connection on all of the islands. With such a focus on tourists, this is one service they haven’t scrimped on. 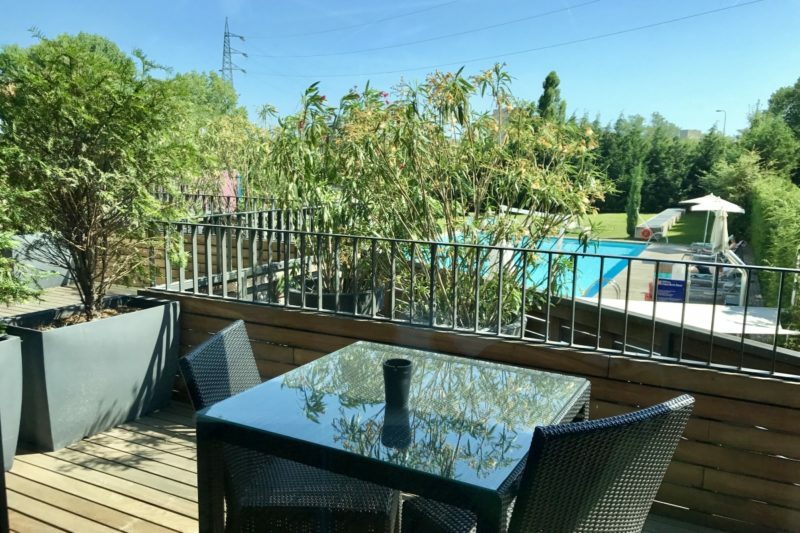 €115/night 3 bedroom apartment. Could easily sleep eight. 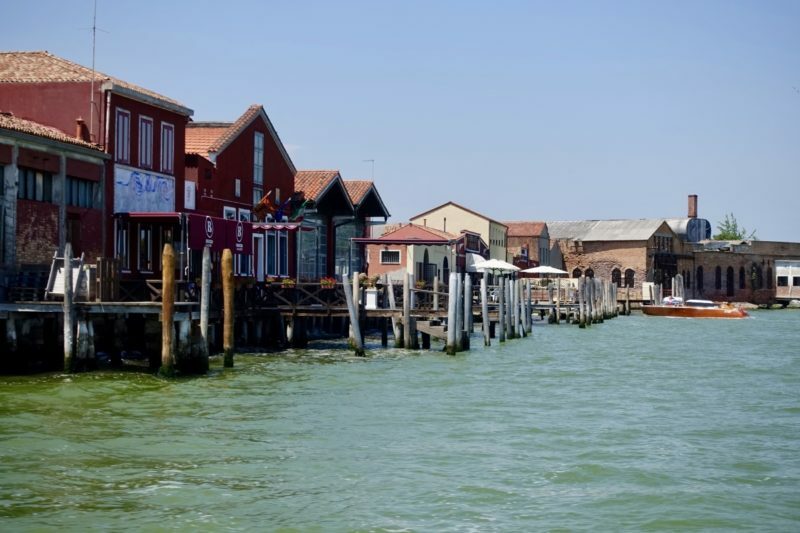 Enjoyed “reliving” Venice and Burano … craving a Canoli now though. You were Brave sitting alone on Devil’s Bridge !!! Hahaha…no bravery needed – the devil here only hunts for souls once people are dead, so I figured I was safe. Thanks Carol. Thanks Ed. Glad you enjoyed the walk down memory lane. Wow I’d love to visit Venice! Is right at the top of my bucket list… Even made a post on it. Thanks Rachel, Venice is a lovely place!